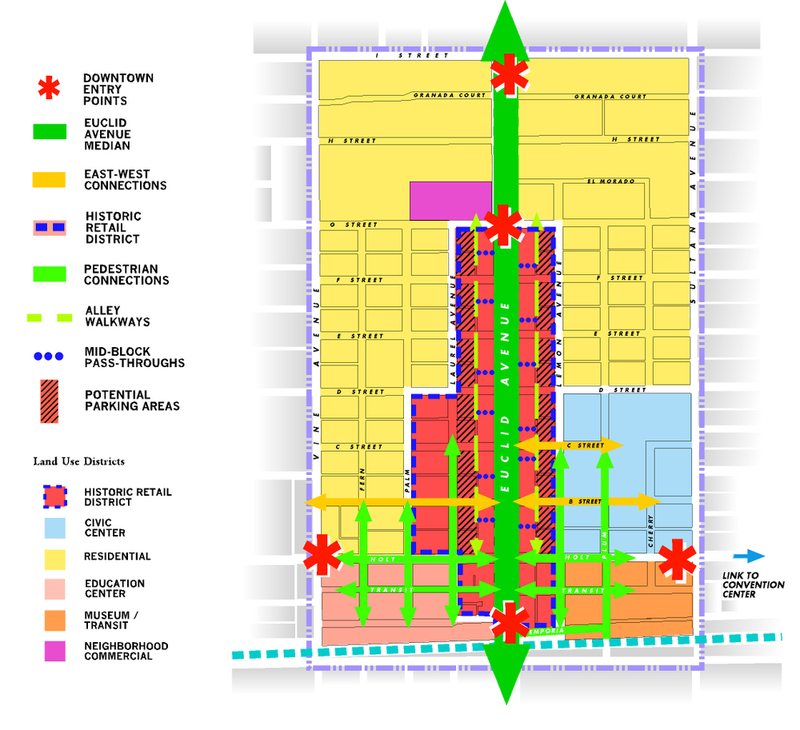 The Concept Plan for Downtown Ontario defines a land use and urban design framework that addresses pedestrian linkages, approaches to parking, district entry concepts, and connections of the different land use districts. The Concept Plan also incorporates the historic structures and elements surviving from the original founding of the planned community – a ‘Model Colony.’ The Concept Plan was followed by detailed design guidelines that address architectural facade design, landscape, signage, and lighting. A unique aspect of these design guidelines is to acknowledge that each building is a record of its individual architectural history as well as of the city’s urban growth over the past century. These design guidelines aim to preserve this multi-decade feel. This project won the Inland Empire Chapter American Planning Association Large Jurisdiction Implementation Award and the State of California American Planning Association Planning Implementation Large Jurisdiction Award.